Specialized Investigation Consultants can help if you are a victim of fraud or identity theft. 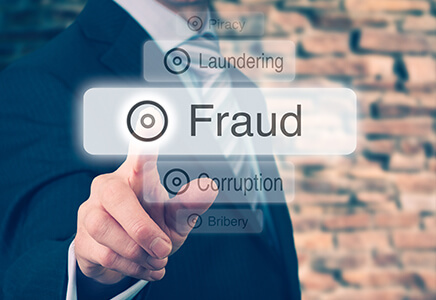 We pride ourselves in providing the best fraud investigation services in Miami and through South Florida. Our experienced Miami fraud investigators are dedicated to helping victims of identity theft and fraud get their lives back on track. In today’s world, with easy accessibility to records, documents, and personal information, fraud is growing and multiplying at an astonishing rate. Fraud has literally turned in to the new crime of the twenty-first century. Identity theft is a type of fraud that is becoming an epidemic. People whose identities have been stolen can spend months, years and their money, cleaning up the mess thieves have made of their good name and credit record. In the meantime, victims can have a rough time restoring their name and suffer unnecessary consequences. Some of those consequences could cause someone to lose job opportunities, be refused loans, or even get arrested for crimes they didn’t commit. This is a serious matter and needs to be addressed immediately, by experienced investigators. If your identity is stolen, you need to make a police report and contact a private investigator to help you restore your identity immediately. Specialized investigation consultants can assist in every type of fraud investigation. Our team is here to assist you in whatever it takes to detect, investigate and stop any type of fraud occurring. Look no further than Specialized Investigations Consultants for professional fraud investigation services in Miami. We have a team of experienced fraud investigators in Miami that can help to minimize the impact of identity theft and other types of fraud. Contact us today for more information on how we can help you.